I've been on the hunt for the perfect colour for as long as I can remember. Something not too matte, the right colour that doesn't need re-applying every hour and doesn't create that dreaded crackle effect of having dry lips. And at long last I've finally found it! 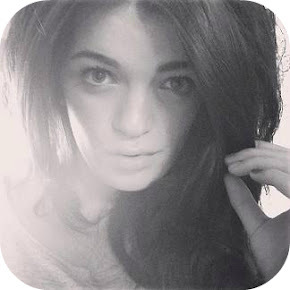 The perfect colour and a product which actually moisturises your lips at the same time. I bought mine from Debenhams in Oxford Street and it cost me £16 which to some people can seem alot for something so small. As an experienced Clinique lover and product user its this brand which products last absolutely forever, so to me something like this is more of an investment than just 'another lip colour'. In regards to the colour itself, it really does depend on what you like and what suits your skin tone. I tend to go between nudes and pale pinks which makes Curvy Candy a perfect option. With all the shades from the new Chubby Stick collection you can alternate between a sheerer colour or gradually build it up to make something more of a block colour. All of the chubby sticks have a perfect amount of gloss too, and it's non-sticky formula means you don't need to reapply it every time you eat or drink something either. The sheen sinks between the cracks in your natural lips and builds a collagen wall into them (sorry to get all scientific on you) which means they never show. 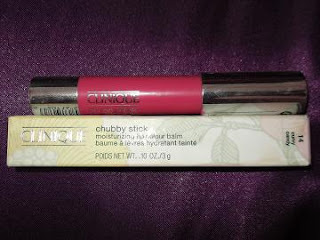 Love this product and would definitely recommend it ♥ Have you tried the new chubby stick from Clinique? Which is your favourite?